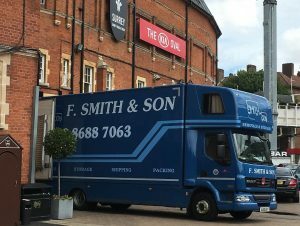 At F Smith & Son, we are passionate about delivering a 1st class service to our clients. Whether your business employs 10 personnel or 1000, your business will receive an equally high level of service from us. We are able to offer a wide range of services to complement our basic relocation service. Unwanted furniture recycling or resale (99% of all furniture diverted away from Landfill. 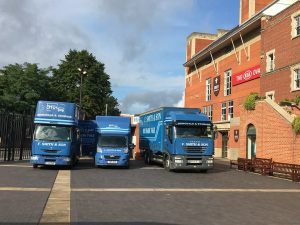 Depending on the complexity of your relocation, our team will constitute a designated move manager, site foreman and highly trained operatives allowing us to quickly and easily communicate your business requirements and efficiently carry out the work. Working close together with our professional operatives, your move manager will guide the relocation according to the plan outlined at the start and ensure that all milestones are delivered and reported on. 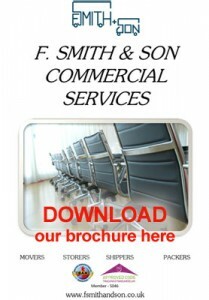 F Smith & Son continues to deliver on all levels for clients and now is your turn to experience our number 1 service. Our trained surveyors will attend your offices at a mutually convenient time and assess the level of work required. Based on our experience carrying out office relocations, we will talk you through what we believe to be the optimal process to carry out your relocation. Each schedule is tailor made and will take into account any key requirements that your business has, falling in line with your overall project plan. 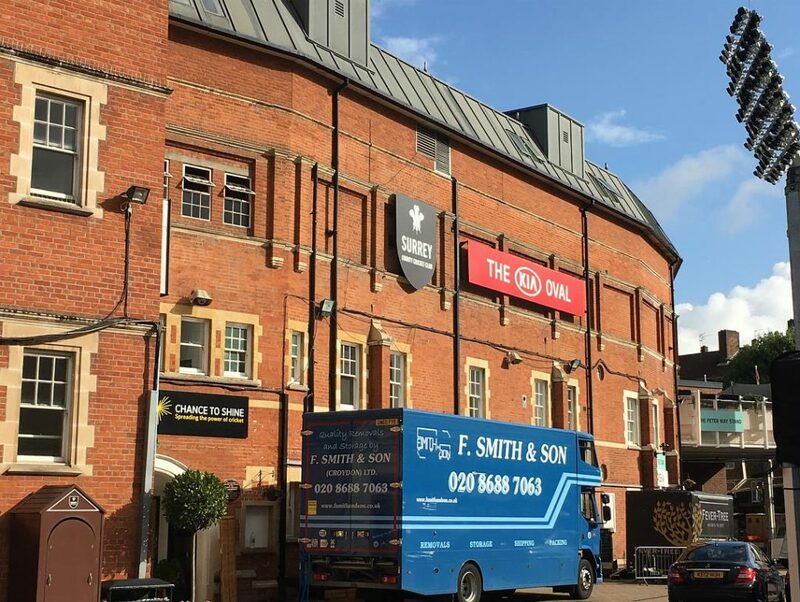 We provide free removal quotations within the Greater London, Surrey and Kent areas, giving you the chance to meet our representative and get a feel for how we operate. This survey allows us time to evaluate all of your requirements and generate an accurate quotation. We understand that it is not always possible for clients to be available for us to call on them. This is why we have the option for you to receive an Estimate simply by completing our online inventory. However we must bring to your attention that it is very difficult for removals to be correctly gauged by submission of an online form internet or by phone. We advise that you be as accurate as you can when completing this inventory and only use this as a guide when budgeting or comparing prices.